​We're very proud of all the hard-working employees at Timberland Supply that have helped make us the #1-rated outdoor power equipment store in Alberta. Our mechanics are highly trained and have years of experience working in the power equipment industry. There aren't too many problems that they haven't seen, and that means that your equipment will be repaired faster, saving you time and money. Also, at Timberland all our sales staff are non-commissioned. You can shop at our store with complete confidence knowing that the recommendations that we offer, are based strictly on providing you with the best products and solutions to meet your particular needs and wants. ​Below you'll find short bios and pictures of all Timberland Supply staff members to help you get to know us better. 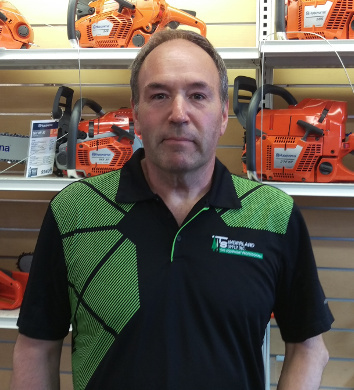 Dan has been involved with chainsaws and the outdoor power equipment industry for as long as he can remember. He began using chainsaws with his brothers and family when he was eight years old and, in one form or another, has been selling and repairing them since he was 15. Dan has several years of project management and sales experience and first began doing project work with Grant in 2005. Dan and Grant are good friends and became business partners in 2013. Dan continues to concentrate on business development and assisting the team in providing Timberland’s valued customers with outstanding service and support. Grant has been Timberland Supply’s General Manager since purchasing the company with Dan in 2013. 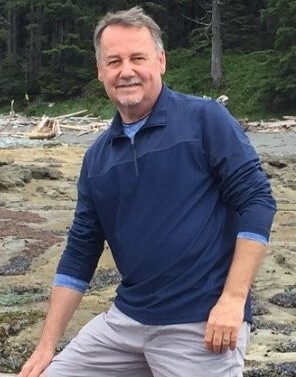 Grant has an extensive background in customer service management, having owned and operated several consulting and retail businesses in Canada and the US. In his role as GM, Grant directs the day to day operations and ensures that Timberland continues to grow with a dedication to providing new products and services including a new focus in the rental products market. Grant’s focus on helping the team deliver exceptional customer service and support on a daily basis has been a critical factor in the successful development and strengthening of Timberland’s customer relationships. 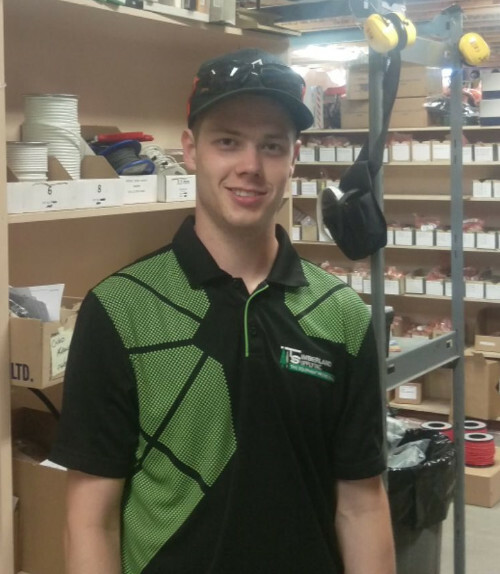 Adam joined Timberland in 2014 and helped transform Timberland’s service department into one of the best service facilities in western Canada. 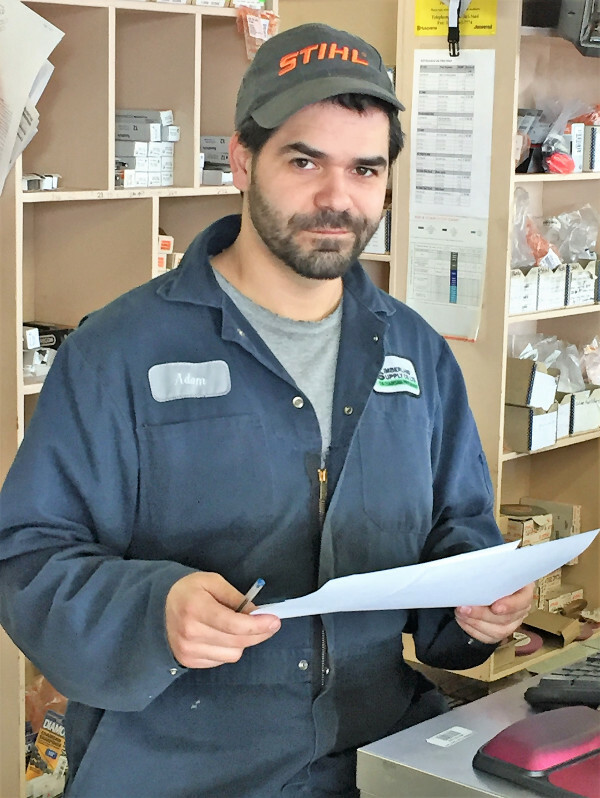 Adam is extremely knowledgeable in all aspects of 2-cycle and 4-cycle engines, providing support and guidance to ensure Timberland’s technical team is working to the highest level of proficiency. He is able to quickly assess and repair issues in the broad range of products that Timberland sells, rents and repairs. 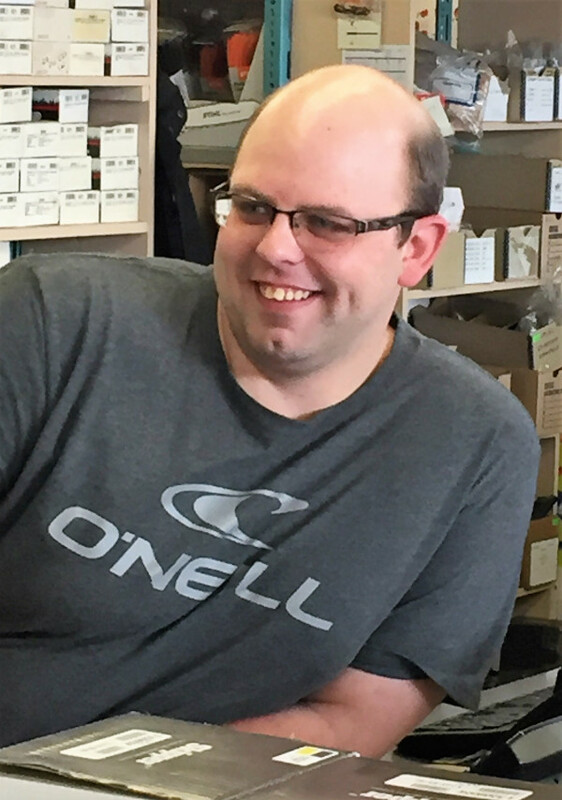 Adam has extensive formal training including certification and experience in wide variety of power products including Stihl (Master Technician), BRP (Seadoo, Skidoo, Can-Am), ATV/UTV, Husqvarna, Echo, Kohler, Briggs and Stratton, Honda, Mercruiser, Evinrude, Kioti and Cub Cadet. 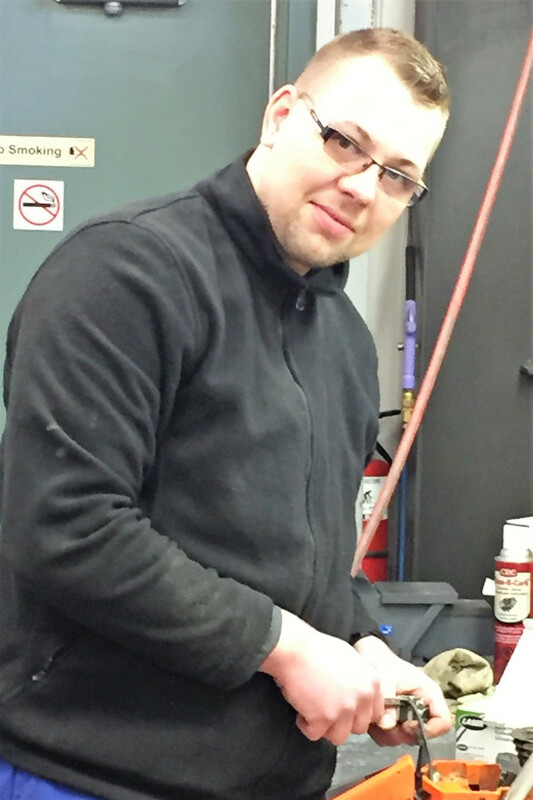 Kevin has recently transitioned into commercial sales after spending 10 years as a journeyman mechanic in Outdoor Power Equipment (OPE), Recreational Power Products, heavy duty and agricultural equipment service and repair. 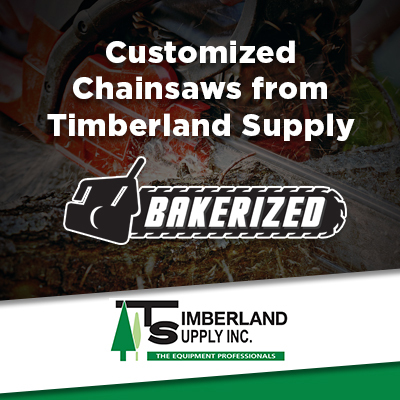 Having personally used and repaired most of the equipment that Timberland sells, Kevin’s experience allows him to take a very practical approach to providing Timberland’s customers with the right high-quality products to meet their needs and budget. Kevin spearheads our skid steer attachment sales and commercial equipment rentals, and has quickly gained accolades from our numerous customers for his great service and after sales support. Bob’s 40+ years of technical sales and service experience has helped to make him one of the best outdoor power products sales professionals in Canada. Bob leads our inside sales team and is well-known for his outstanding customer service and his friendly demeanour. Bob always puts his customers first and is extremely well regarded for his personal dedication to sales and after sales support. 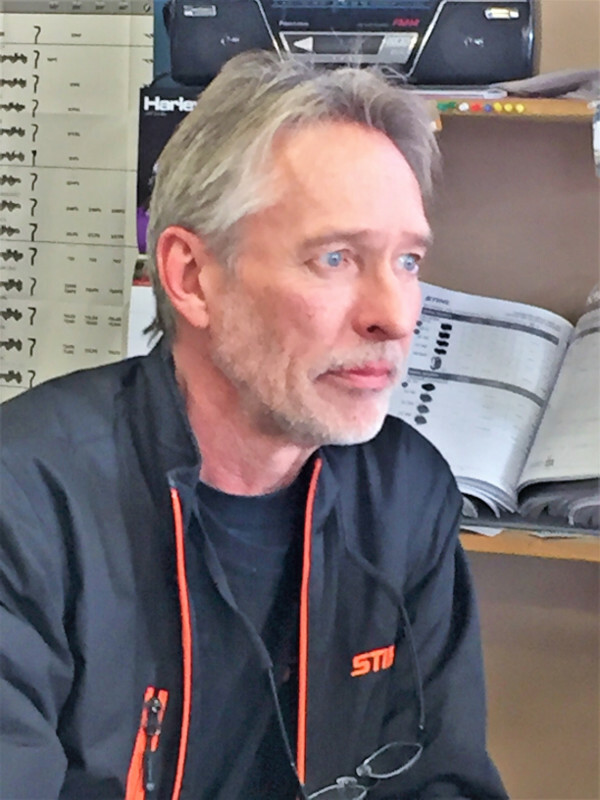 Bob has a vast knowledge of Timberland’s outdoor power products and is very proud to be the top sales person for Stihl products in Western Canada. Sven came to Timberland with extensive experience in off-road motorsports and marine recreational products. Sven’s formal training includes Journeyman Production Mechanic certification from Germany, as well as certification with BRP (Seadoo, Skidoo, Can-Am) and others. 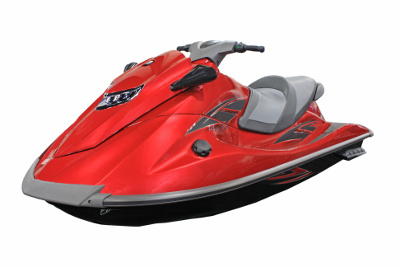 Sven has a broad technical background in the marine industry (2-cycle and 4-cycle) along with extensive ATV and side-by-side service and repair experience. Sven is a very versatile technician and a valuable member of the Timberland team. 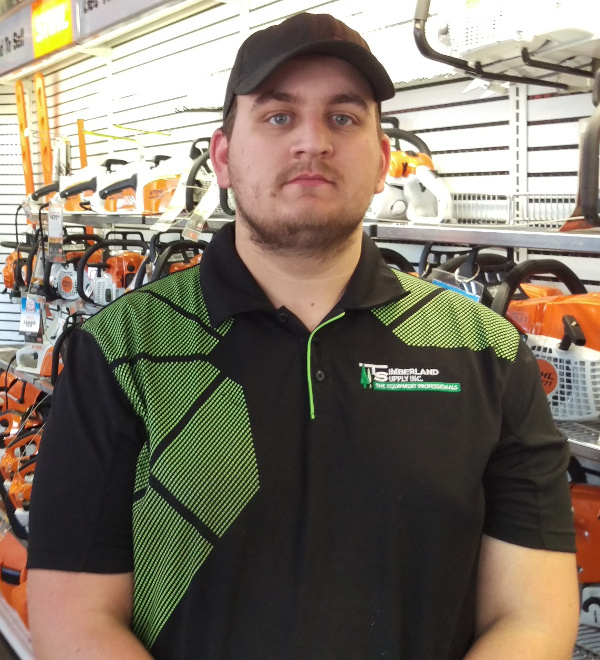 Ryan has been involved with outdoor power products as long as he can remember, using chainsaws since he was about 12 and selling them since he was 16. Ryan also has an extensive background in the hospitality industry and is a full-time student at NAIT, where he is currently enrolled in the final year of the Television Broadcasting program. Jay joined Timberland and got to work right away with setting up the new parts counter and completing the showroom reorganization. 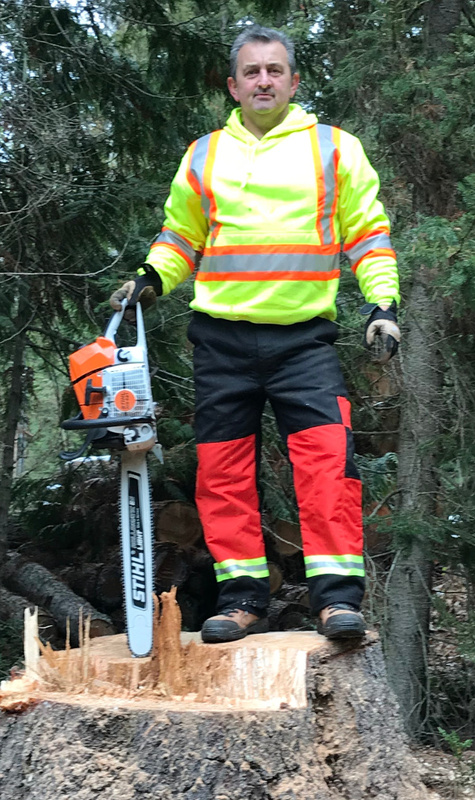 He is a Husqvarna Master Technician and has years of sales and service experience in the outdoor power product and power sports industries. Jay owned and operated his own Husqvarna dealership in Ontario before returning to Alberta. 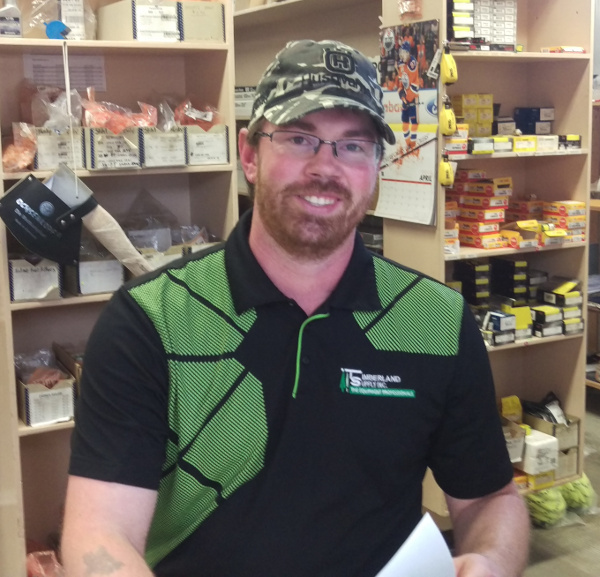 Jay is there to help you with your equipment needs as well as parts for all the equipment that we sell. Paul’s background is extensive and includes roles in supervision, operations and maintenance in the oil and gas industry. Paul is also an experienced mechanic and fabricator and effectively brings this experience to his sales role at Timberland. Paul prides himself on providing exceptional customer service and is always ready and willing to help you with all your equipment needs. Jared spent several years in the service industry before joining Timberland. He has significant experience in operational and supervisory roles and he is a customer service specialist. Although relatively new to the outdoor power product industry, Jared is quickly becoming an effective member of the Timberland team.